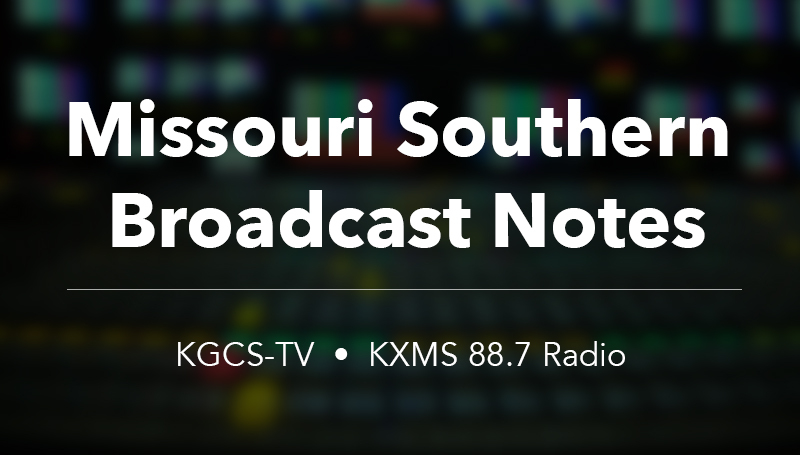 With the start of the fall semester just a few weeks away, upcoming episodes of “Newmakers” on KGCS will offer important information about Missouri Southern. The program airing the week of June 30 features Distance Learning Director Scott Snell. He discusses opportunities for students and the continued development of technology and approaches to reaching students off-campus. The episode airing the week of Aug. 7 focuses on Missouri Southern Athletics. It features Athletics Media Relations Director Justin Maskus and Director or Athletic Marketing Randon Coffey, who share information about the upcoming fall sports seasons on campus. “Newsmakers” airs weeknights at 5:30 p.m., and at 5:30 a.m. Saturday mornings on KOAM-TV. Episodes are also posted on the KGCS YouTube channel. “Newsmakers” is produced by KGCS-TV, a service of the Department of Communication at Missouri Southern State University. Programming may be seen throughout the region on broadcast channel 22 and regional cable television systems.